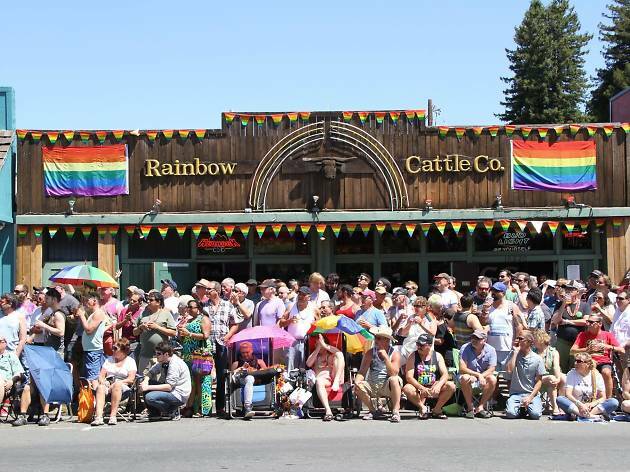 Worldwide icon-chevron-right North America icon-chevron-right United States icon-chevron-right California icon-chevron-right San Francisco icon-chevron-right Rainbow Cattle Co. 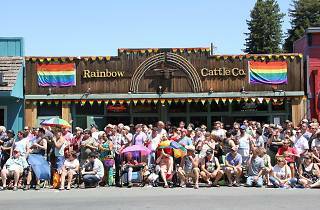 In 1979, Rainbow Cattle Co. was opened to cater to redwood country's gay tourists. The rustic interior hasn't changed much since—it's seen decades of hard drinking, partying and cruising, and has become home to a tight-knit community of friends and lovers. If you're looking for a friendly place to grab a drink (or an arm), this is the spot. Make friends over a game of pool, pinball or shuffleboard, check out Country Wednesdays, or if you're in it for the long haul, Bear Weekend.